The extraction of keratin protein from chicken feathers poses an environmentally friendly and cost-effective way to rid the poultry industry of waste. Glenneis Kriel reports. 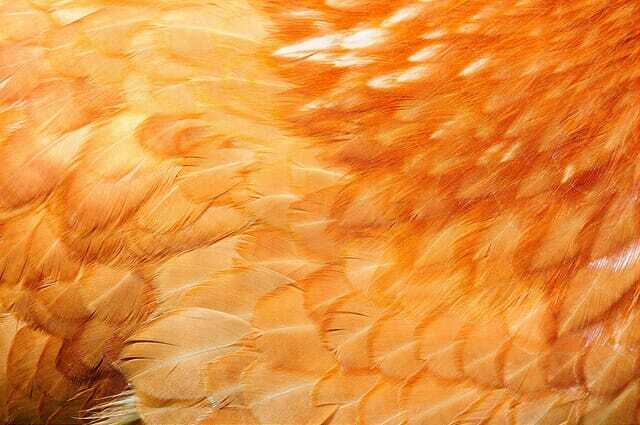 Poultry consumption generates more than five million tons of feathers a year. Demand for this by-product is unfortunately low, with most of it ending up being burned, buried or ground up as feed for livestock. The Council for Scientific and Industrial Research (CSIR) in South Africa, along with the University of KwaZulu-Natal, is however researching cost-effective ways to extract keratin protein from chicken feathers for the manufacture of high-value products. The practical level for use of feather meal in a diet is also low at just 0.5 to 1.5 per cent. “Ruminants will use the feather meal better when supplemented with urea. Utilisation is however poor when excess amounts are fed,” says Sithole. Feathers are excellent for fertiliser purposes, since they have a 15 per cent nitrogen content, but they are difficult to degrade. The availability of nitrogen from feathers as fertiliser is therefore considerably low, unless it is mixed with manure to break it down and supplied as a compost to the soil, according to Sithole. The problem with the disposal of feathers through incineration and burial is that these methods are energy intensive, they are not very environmentally friendly and they present biohazards. “Research by the North Carolina Department of Environment and Natural Resources found that a 57-megawatt poultry-waste combustion plant emitted more carbon monoxide and carbon dioxide per unit of power generated than new coal plants. The burial of chicken feathers on farms also has to be strictly monitored to avoid groundwater contamination,” says Sithole. Feathers, in their natural state, are also used for decorative purposes, traditional medical applications, religion and cultural ceremonies, sporting items, feather dusters and bedding. These applications are comparatively small in scale, though – which is why more uses for waste chicken feathers need to be found to solve the problem of disposal. The extraction of keratin protein might create a whole new market opportunity for feathers. In doing so, it might also create a viable method of getting rid of this poultry industry waste product in a scalable, sustainable way. While this research is a first for South Africa, international studies and patents on extraction of keratin and other products from feathers are available. The aim of the CSIR study is to develop new extraction procedures – by using a combination of unique solvents and microwave extraction techniques – to significantly reduce extraction costs. The chicken feathers are pre-treated to remove debris and decontaminated to remove any bacteria and viruses, before the keratin is extracted. Once extracted the keratin proteins are characterised according to their physical and chemical properties. According to Prof Sithole, the extracted keratin protein could be incorporated into all kinds of hair products, due to its moisturising properties. The harvested proteins could also be made useful in the form of keratin bio-fibres or keratin protein based products. Electrospinning could, for example, be used to regenerate keratin bio-fibres that could in turn be used to replace synthetic petroleum-based fibres in the textile industry. Keratin proteins, on the other hand, could be converted into high-value chemicals. “In recent years, natural-fibre-reinforced polymer composites have attracted a great deal of attention and interest, as environmentally friendly replacements for glass or carbon fibres in fibre-reinforced composites,” says Sithole.